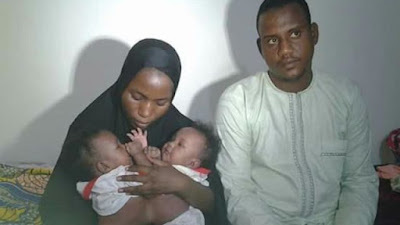 The Federal Medical Centre (FMC), Yola, Adamawa State, has set a new record with yet another breakthrough as a team of surgeons, led by the Chief Medical Director of the centre, Auwal Abubakar, successfully separated four-month-old conjoined female twins. Auwal, a Professor of Paediatric Surgery, said the team of professionals that were deployed for the surgery included surgeons, anaesthetics, radiologists, laboratory scientists, preoperative nurses, and cleaners. “The surgery was conducted on May 14, and the chances of survival of the twins are excellent,” he said. The director said it took his team four hours to perform the operation, which was the second of its kind in the hospital. While fielding questions from reporters, father of the twins, Muhammad Ramat from Kasuwan Shanu in Maiduguri, Borno State, thanked the management of the hospital for also writing off the bill for the surgery. Meanwhile, the Lagos State government has sponsored five patients on free cardiothoracic surgery in collaboration with a team of America Non-Governmental Organisation, VOOM Foundation at the Lagos State University Teaching Hospital (LASUTH). Head of the visiting team from USA and a Cardiothoracic Surgeon, Dr. Reza Khodaverdian, commended the governor, Akinwunmi Ambode, on the provision of a conducive hospital’s facility, describing it as the best compared to other teaching hospital earlier visited by the team in Nigeria. He attributed the 100 per cent successful surgery recorded by the team and LASUTH to the availability of the international standard equipment. The Chief Medical Director of the hospital, Prof. Adewale Oke, while speaking on the feat, called on well-to-do Nigerians to consider sponsoring the treatment of thousands of Nigerians suffering from heart-related diseases. He disclosed that the fact that the cost of accessing medical attention in this area is high and beyond the reach of the common man makes the call very imperative in order to complement government’s efforts in the health sector and its desire to achieve a Lagos where every residents are healthy. “Presently, we have about 1,000 patients who are suffering from heart-related disorders. In fact, some of them could barely take a 10 feet walk before breathing heavily. This shows the degree of discomfort, which this category of persons are passing through and this explains why financial assistance is greatly needed in this regard,” Oke stated. Also speaking, the Senior Special Assistant (SSA) to the governor on health, Dr. Sola Pitan, commended the U.S. team, saying having access to certified cardiologists was one of the rarest in the medical profession.